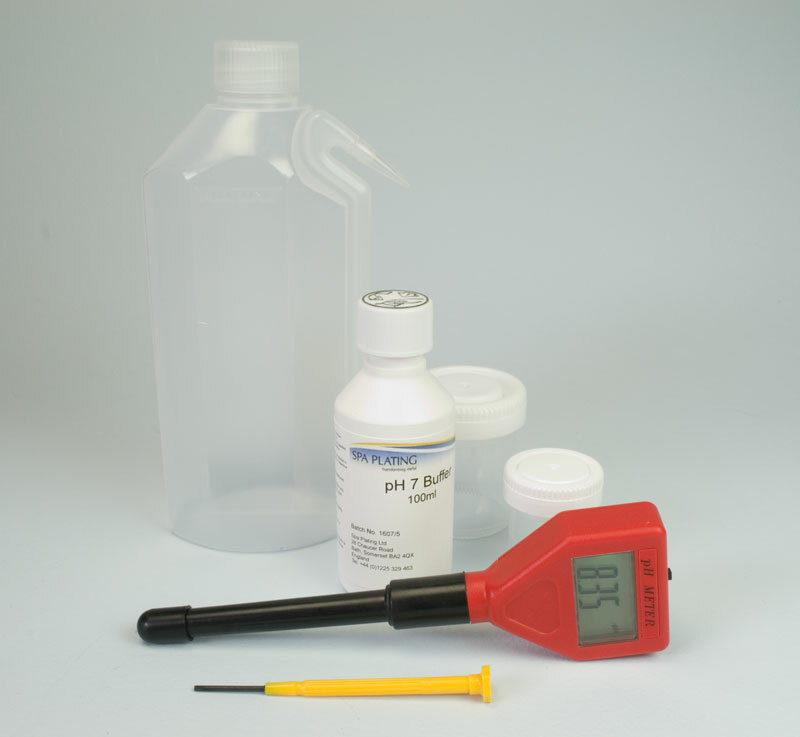 Our pH Meter Kit will help you keep your tank plating solutions working at their highest efficiency. 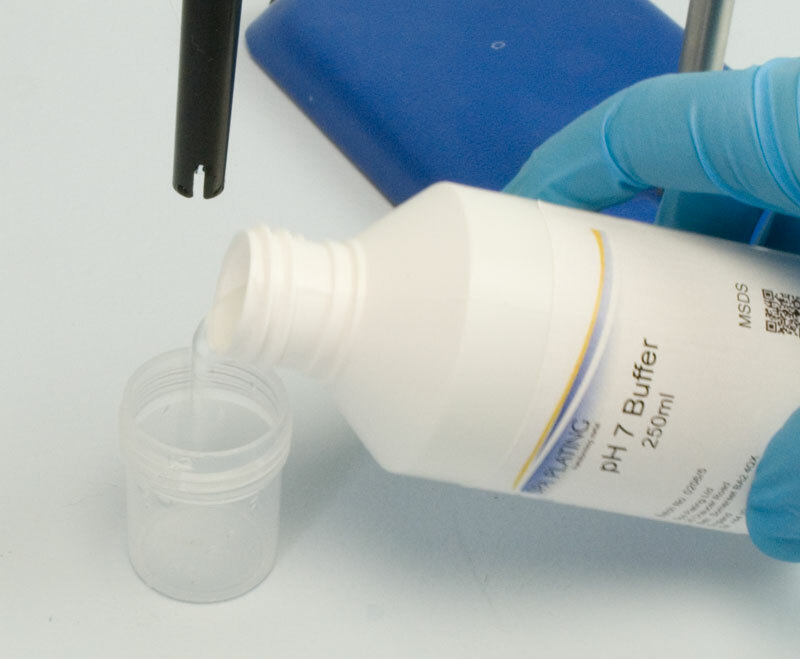 It's a good idea to monitor the pH balance of all of our tank plating solutions but our Palladium Tank Plating Solution in particular needs to have regular pH readings taken, to ensure the right amount of Palladium pH Adjuster is added. 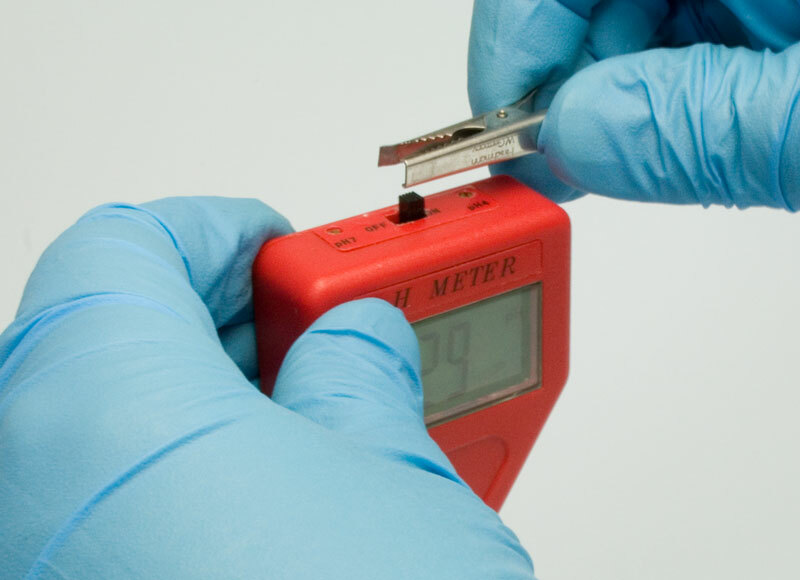 Before you use your pH Meter, you will need to calibrate it for our solutions. 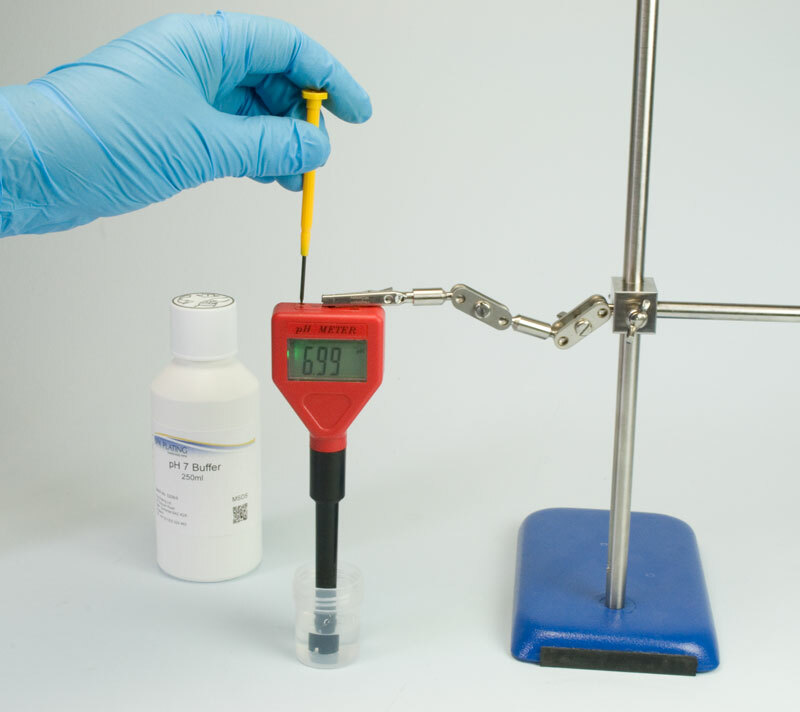 You will need to use our pH 7 Buffer to do this, which is included when you buy our pH Meter. 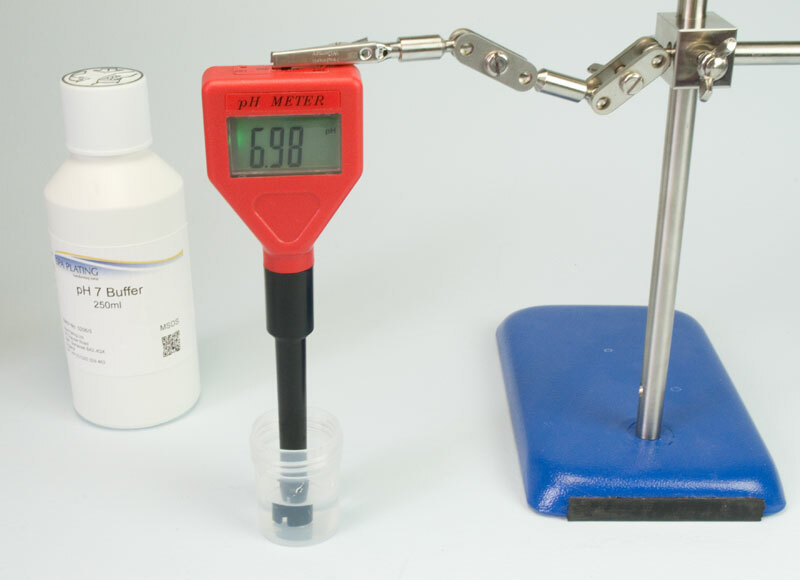 Once calibrated, the Meter can then be used to test the pH of our Palladium Tank Plating Solution. 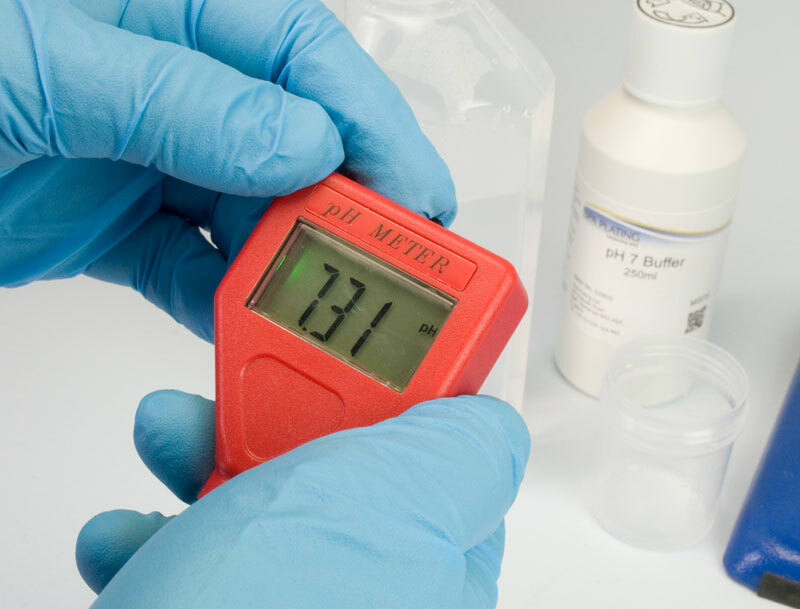 It is advisable to calibrate your pH Meter on regular basis. 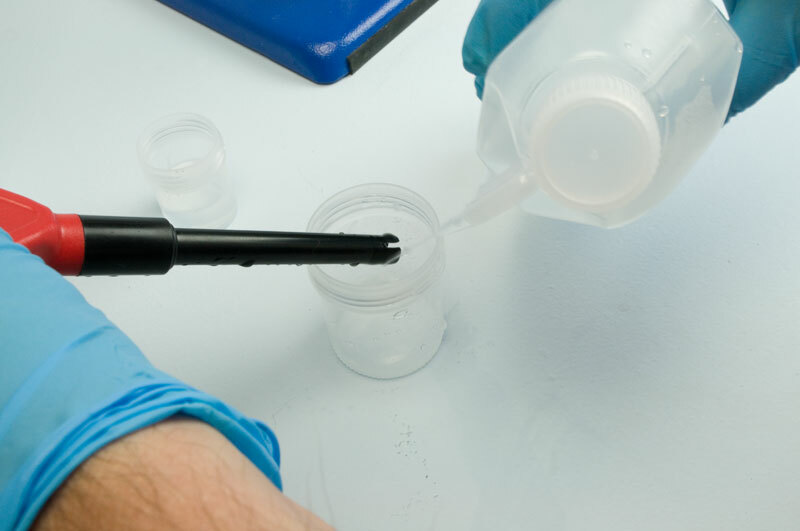 This guide is therefor presented in two stages; the first demonstrating how to calibrate you meter and the second showing how to take a pH reading of our Palladium Tank Plating Solution. We recommend you use our Plating Stand with one of our Plating Arms fitted to mount the meter, as this will hold the meter safely while the reading is being taken. Turn on your Meter at the top by pushing the black switch firmly to the right. Remove the cap at the end of the meter probe and squirt some tap water over the end to hydrate it, so that the meter works efficiently. Pour out enough pH 7 Buffer into the small beaker to cover the end of the meter probe. Grip the black switch at the top of the Meter in the crocodile clip at the end of the Plating Arm. 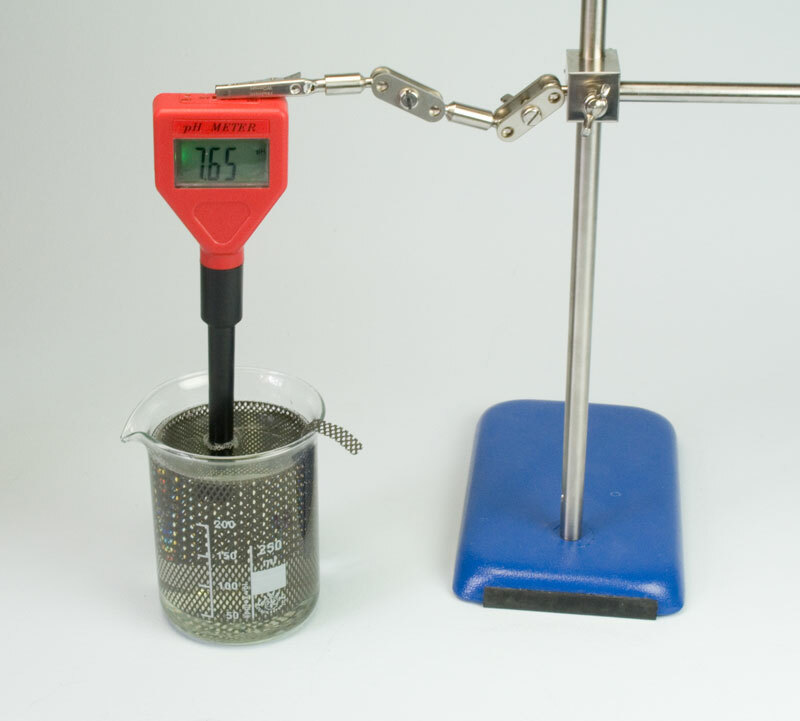 Equipment; pH Meter and screw driver, Small Beaker, Medium Beaker, Rinse Bottle, Plating Stand, Plating Arm and Boss. Leave the Meter in the pH 7 Buffer solution for five minutes. Adjust the readout on the screen so that it reads 7, using the yellow screwdriver to turn the small brass screw on the top of the meter marked ‘pH 7’. Your pH Meter is now calibrated. 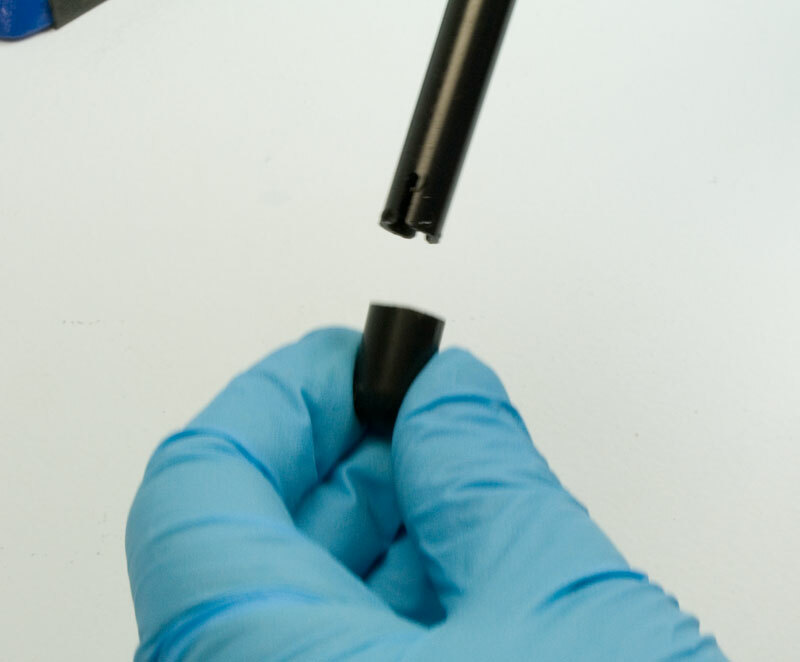 Take the Meter out of the crocodile clip and thoroughly rinse the Buffer from the end of the probe so that you don’t contaminate your Palladium Tank Plating Solution.